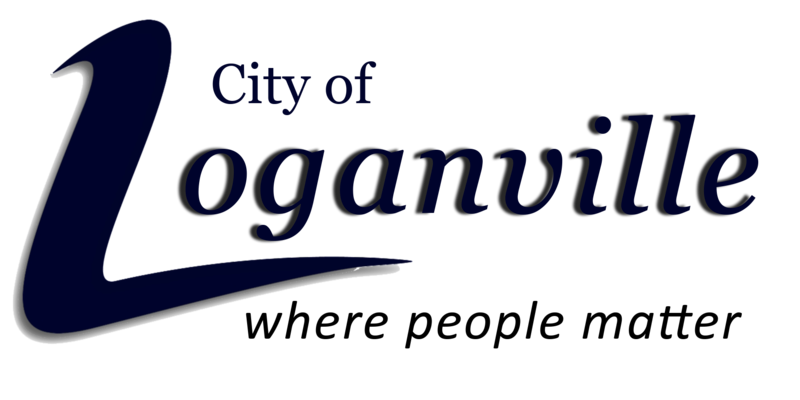 The City of Loganville is committed to providing comprehensive and suitable garbage and trash collection service to our community through disposal and recycling efforts. Residential garbage service will be set up at the time new utility service accounts are open. Residential service is billed through your Utility bill at a monthly cost of $15.00. Senior Citizens are $13.25 monthly. To request additional garbage cans or replacement of broken garbage or recycling cans you may call 770-466-1165 or email SanitationService@loganville-ga.gov. The Residential recycling program is on a volunteer basis and at no extra cost to the customer. Commercial front-load garbage and recycling service will be set up at the time new business utility service accounts are open. Each week, City Residents are allowed 2 household bulk items in addition to their Advanced Disposal trash can and recycle bin. Commercial, Builder and/or Developer Roll-off service is set up through the Planning and Development department by visiting in person at 4303 Lawrenceville Rd. Cash, Check or money order is accepted. Your bin can not be picked up if it contains contaminants! Aerosol Cans, Batteries, Clothing, Electronics, Food, Glass, Mirrors, Steel and Metal Items (Including Metal Lids), Styrofoam, Waxed or Laminated Cardboard, Wood. Please remove any of these items and place your bin out for collection again next week. City of Loganville Taxes are billed separately from County Taxes. If your property is located within the incorporated City Limits, you will receive 2 tax bills every year, one from your county and one from the City. Tax notices are mailed Mid-September and are due by Mid-November. The mailing address utilized for the tax notice is the information on file January 1st of the current year. The City of Loganville gives 60 days to pay based on the date of printing. The usual due date is Nov. 15th. City taxes are not available online, you can call 770-466-1165 to obtain tax information or you can email the Tax Clerk at Email. All exemptions (ie: Homestead, Disabled Vet) are filed with your County and will transfer to us automatically. ‍Tax sales are held the first Tuesday of either June or July each year. ‍Payments are not available online. We accept Cash, Check and Money Order.